Its relatively small size, glossy green foliage & airy pinkish-red flowers set this extraordinary selection apart from others. Especially attractive planted in mass where flowers can be backlit by the sun. 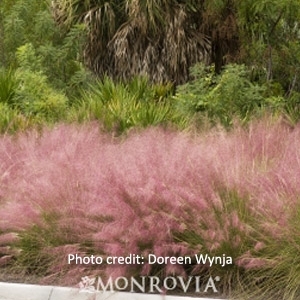 Drought tolerant, though thrives with regular watering.